Severe Eczema Case Experiences Additional Benefits Doing The LEAP Program - Oxford Biomedical Technologies, Inc.
My experience with LEAP was amazing! I decided to try the program because I had been struggling with eczema for years. My back story: After the birth of my second child I got really severe eczema that took months to get under control. I finally found a dermatologist who did patch testing and found several topical chemicals I was allergic to. I eliminated the use of them and my eczema was greatly reduced. After the birth of my third child the eczema returned, a dermatologist diagnosed that I had an allergy to the pregnancy hormone. He said it should clear out of my system within a few weeks. Most of the reaction did clear up, but the severe eczema remained on my hands. I went back and he told me it had to be something I was coming in contact with. I had already eliminated all the known allergens. I called the diaper and wipes companies, and the detergent company to see if any changes had been made to the formulas they used to make their products. I couldn’t find anything that I was touching that would be causing the eczema. As months passed, and I couldn’t get it under control, I heard about LEAP while researching ways to help with eczema. A few weeks later I saw that Jessianna was certified as a LEAP nutritionist. I reached out to her and started the process. Within the first few weeks of being on the LEAP program all of my symptoms, not just the eczema had been reduced by over 50%. By the end of the first three months, I only had a couple of little red spots remaining. After six months I was essentially eczema free. I still have a flair up now and then if I come into contact with one of my known topical allergens, but it clears up very quickly. One of the added benefits to the program was that symptoms I didn’t even know were symptoms went away. Things like itchy ears, and sensitivity to light and sound were greatly reduced. 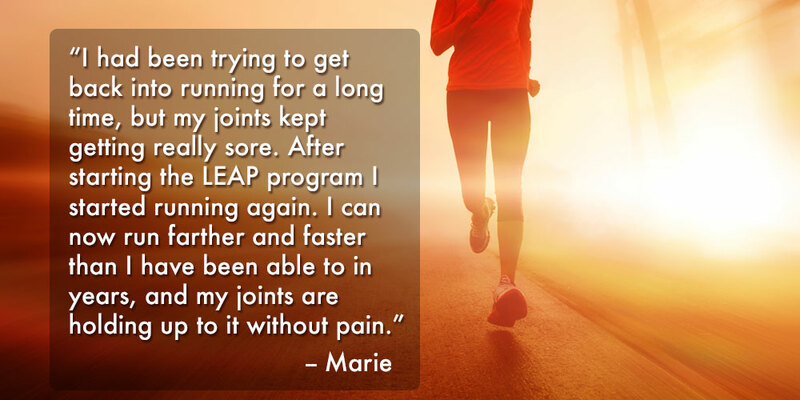 I had been trying to get back into running for a long time, but my joints kept getting really sore. After starting the LEAP program I started running again. I can now run farther and faster than I have been able to in years, and my joints are holding up to it without pain. Another added benefit was that normally over the winter I get a few colds that last around two weeks and really wipe me out. This past winter I only got a runny nose a couple of times, and it never lasted longer than a week. I told Jessianna about this and she said it was likely because I had less inflammation in my body, so my body could fight off the colds easier and quicker. The program was challenging, but it was doable. Even from the beginning, I was able to eat a balanced diet, and it was satisfying. I would recommend it to anyone who is experiencing autoimmune issues that seem unexplainable. I have completed the six month program now and have been able to add all of the yellow and red foods back in but in limited amounts. One of my few red foods is cane sugar. I did crave it for a while, but after a few weeks the cravings went away. Now I am able to eat it in limited amounts, but I don’t really crave desserts like I used to. Jessianna was also awesome to work with. She was very good about answering all of my questions, and helping me to know what to eat. This was especially helpful in the beginning when my food choices were very limited. 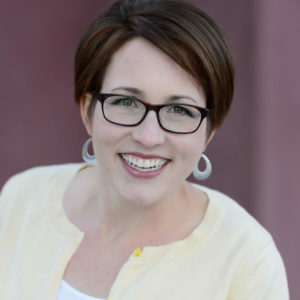 Jessianna Saville, MS, RDN, CSR, LD, CLT. Jessianna is located in Columbia, Maryland. You can visit her websites www.pnsdiet.com and www.kidneyrd.com.